Commentary: Today, U.S. 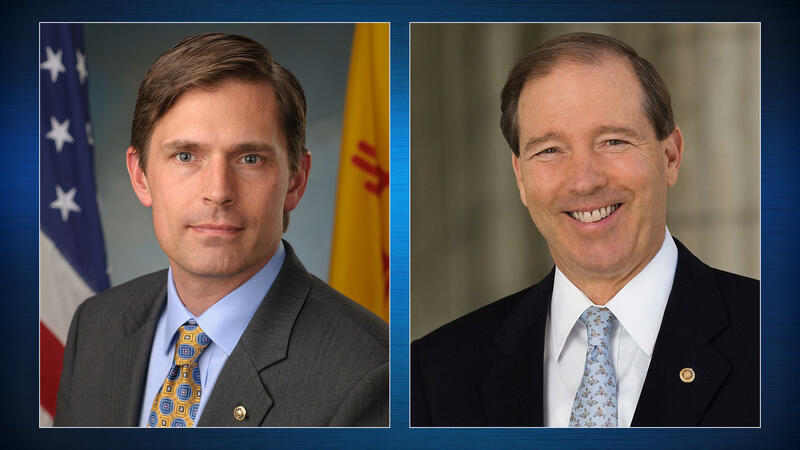 Senators Tom Udall (D-N.M.) and Martin Heinrich (D-N.M.), along with U.S. Senators Kamala Harris (D-Calif.), Catherine Cortez Masto (D-Nev.), Jeff Merkley (D-Ore.), Ed Markey (D-Mass. ), Richard Blumenthal (D-Conn.), Patty Murray (D-Wash.), Dianne Feinstein (D-Calif.), Cory Booker (D-N.J.), Robert Menendez (D-N.J.), Mazie Hirono (D-Hawaii), Debbie Stabenow (D-Mich.), Patrick Leahy (D-Vt.) and Jack Reed (D-R.I.) introduced the Restrictions Against Illegitimate Declarations for Emergency Re-appropriations (RAIDER) Act of 2019. The legislation prevents the president from utilizing the National Emergencies Act of 1976 to raid critical military construction and disaster response funds to construct his wall along the southern border. Before, during, and after the Trump shutdown, President Trump has repeatedly threatened to declare a national emergency to bypass Congress and finance construction of his border wall, and recent press reports indicate a declaration is being drafted in the White House. Under the National Emergencies Act, the funds most at risk of being misdirected to build the president’s wall are U.S. Army Corps of Engineers (USACE) civil works funds and Military Construction (Milcon) funding. President Trump is threatening to take funds from critical disaster recovery, flood protection, and military base construction projects in states across the country. This legislation would bar the transfer of any funding from U.S. Army Corps of Engineers or Military Construction accounts for construction, land acquisition or other activities related to President Trump’s border wall following any potential emergency declaration, unless Congress granted specific authority to do so. While the administration has not released precise figures, some estimates indicate there could be as much as $35 billion in congressionally appropriated but yet unobligated funding for DOD military construction projects and Army Corps disaster funds at risk from an emergency declaration move. “As the President continues to spout lies about our challenges at the southern border as an excuse to build a wasteful wall and considering declaring a non-existent national emergency, Congress must protect vital projects in our nation’s defense,” said Menendez. “And there’s no way I’m going to let Trump to raid funds for New Jersey military installations, flood protection and major military construction projects – including the Joint Base McGuire Dix Lakehurst and Picatinny Arsenal – to pay for it.